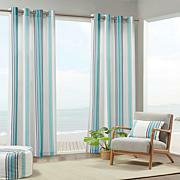 Laguna Scotchgard Single Window Panel - Multi/54" x 95"
Laguna Printed Medallion 3M Scotchgard Single Outdoor Window Panel - Blue Multi/54" x 95"
Print Stripe 3M Scotchgard Curtain Blue/White/54" x 84"
Perfect for your outdoor space, this weather-resistant 3M Scotchgard window panel adds simple color and style, while providing long-lasting protection. 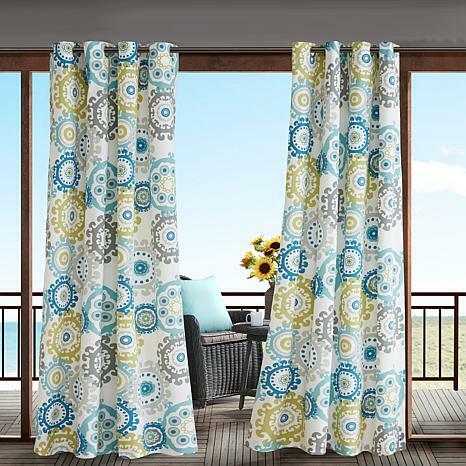 The 3M Scotchgard treatment helps to repel moisture, to resist staining, and to provide a durable water barrier that keeps fabric drier longer. 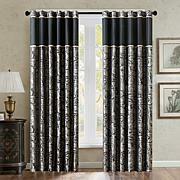 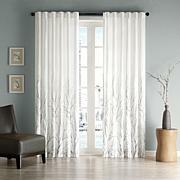 Simply hang it to stylishly separate your space, enhance privacy, or filter the right amount of light for comfort. 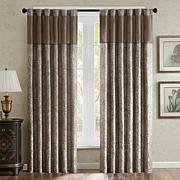 Madison Park Whitman Window Panel Pair - 50" x 95"